There are a number of career choices that do not require a four-year college degree, but still offer many opportunities and excellent pay. Electricians, for one, are individuals that can get trained on the job with supplementary VoTech training enabling them to complete their four-year apprenticeship. Electricians may not come away with a bachelor’s degree, but the training at community college or technical school can provide for them an excellent standard of living, rivaling the pay that many college graduates earn in their careers. 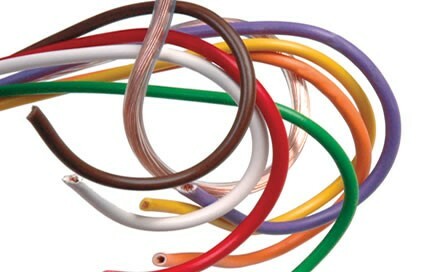 Electricians are those professionals qualified to install, maintain and repair electrical wiring. They are also tasked with installing equipment and fixtures, and repair and replace wiring as needed. Electricians connect, repair and replace wires, using hand tools or power equipment to get the work done. These professionals are proficient at laying out and installing new systems and equipment, inspecting existing systems, overseeing junior electricians and and diagnosing problems. Electricians may work primarily in residential or commercial areas, sometimes both. Most states require electricians to hold a valid state license. The training of an electrician is through an apprenticeship program, with students required to complete 144 hours of technical training and more than 2,000 hours of paid on-the-job training. Some students start off by attending a community college, a technical school or related training program. Some colleges offer programs that lead to an associate degree. The classroom side of training teaches students how to read blueprints, understand electrical theory, learn electrical code requirements and become proficient in safety practices. Mathematic courses including Algebra are taught. Students may also take specialized training to work with home security systems, fire alarm systems, communication systems and elevators. Contractor associations and unions sponsor apprenticeship programs with students required to have at least a high school diploma or its equivalent, one year of Algebra, and a qualifying score on an aptitude test. Electricians must meet government minimums to earn and maintain an electricians license. Such licensure is periodically renewed per state standards. Paying related fees and union or association dues can keep an electrician in good standing. As of 2011, the median annual wage for electricians was $49,320 according to the US Bureau of Labor Statistics. Wages for electricians in the 10th percentile averaged $30,400 per year to $37,600 for those in the 25th percentile. Electricians in the 50th percentile averaged $49,300 per year. Electricians in the 75th percentile earned $65,300 per year on average, while this in the 90th percentile could expect to earn $82,700 or more per hour. Pay for electricians varies sharply across the country. Top states for pay include Illinois with average wages coming in at $72,600 per year, followed by Alaska at $72,200 and Oregon at $67,600. On the other end of the spectrum wages were lowest in Florida, with electricians averaging $37,700 per year. In North Carolina electricians averaged $38,000 per year followed by South Carolina at $38,300 annually. People with aspirations for becoming an electrician should know that their job prospects are bright. The BLS has forecast a 23 percent growth from 2010 to 2020 for this career or about twice the average growth for all occupations. Fueling the increase is demand for alternate power generation including solar energy and wind power. The national grid will need to adjust for these changes with electricians ensuring that the transition happens. Those electricians involved in building and manufacturing may find that their work opportunities will fluctuate depending on the economy. Those that work for factories, however, should enjoy continued stability notes the BLS. Barry Atkins writes for PASS Training and Development, a leading provider of part p courses and a wide array of professional development resources for electricians. Follow Barry on Google+.